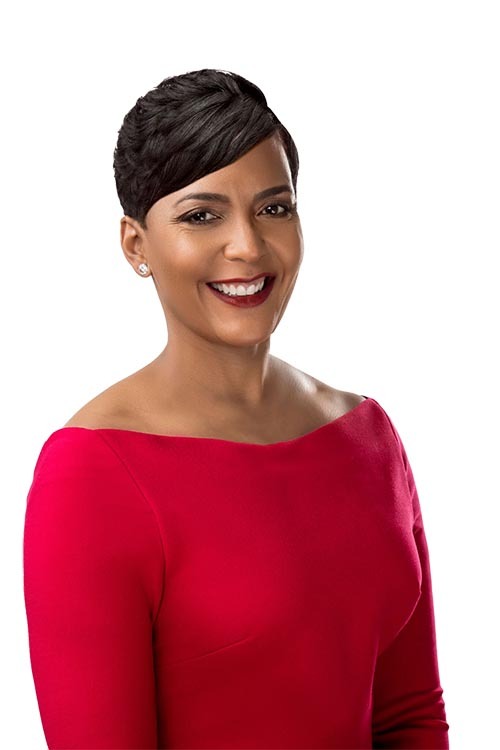 January 2018 — After a December recount confirmed her win of the mayoral seat over Mary Norwood by a narrow margin, Keisha Lance Bottoms has officially been sworn in as the 60th mayor of Atlanta. At 1:00 p.m. on Tuesday, January 2, 2018, Bottoms was inaugurated at the Martin Luther King Jr. International Chapel at Morehouse College. She is officially the second woman and the first Atlanta public school graduate to serve as mayor of the City of Atlanta. Earlier in October 2017, former Mayor Kasim Reed endorsed Keisha Lance Bottoms and declared her the best candidate of the 13 other hopefuls vying for the position. Given her past involvement and experience working with the city, Bottoms was clearly a strong choice. Before running for mayor, Bottoms represented the District 11 on the Atlanta City Council, earning her seat in 2009. During her time on the council, she achieved the goal of a 2,000-officer sworn force in the Atlanta Police Department and helped grow the city’s reserves from $7.4 million to over $170 million in seven years. From 2015 to 2017, she also served as executive director of the Atlanta Fulton County Recreation Authority, which maintains public facilities like Phillips Arena and Zoo Atlanta. Under her leadership, the AFCRA completed the $350 million redevelopment of Turner Field, home to the Atlanta Braves. As mayor, Bottoms has a few more priorities in mind. In her inaugural speech, she stressed the importance of investing in becoming “One Atlanta” by overcoming challenges and putting aside differences of race, gender, religion, sexual orientation and culture. She claims that we must keep Atlanta moving forward by leaving no one behind, and she plans to achieve this by prioritizing affordability and equity in her agenda. Bottoms intends to unveil a $1 billion affordability plan — the largest investment in affordable housing in the city’s history— in the coming months in order to ensure more equity within the city. At her inauguration, Mayor Bottoms also stated that elected officials must re-inspire confidence in city government. She aims to do this by creating an ethics and transparency reform plan. Her emphasis on transparency within city government is evident on her campaign page, where she has made public her tax returns for the past eight years. Because Atlanta is diverse in all forms, another one of Mayor Bottoms’ priorities is to continue to build up the police force and reform the criminal justice system in order to foster respect between officers and neighborhoods. Her target is to grow the force during her role as mayor. Under her leadership, Mayor Bottoms will continue to provide transit options for working families and build on the largest expansion of MARTA in its history. She looks forward to working with state and regional partners to identify ways to expand transit throughout the metro area. She stresses the importance of expanding transit options since so many families in Atlanta depend on it — not to mention that it would reduce traffic on the city’s notoriously congested roads. At the forefront of her agenda, though, is education. Education is the key to achieving “One Atlanta,” according to Mayor Bottoms. She believes high-quality education should be accessible to everyone, not just the rich. Eliminating the gap in schooling across neighborhoods would not only help educate the future generations of Atlanta but would also remove educational barriers for many students who might not otherwise have the opportunity to excel academically. Accessible and affordable education promotes respect among young people, and since increased education has been shown to lower crime, it addresses many issues facing the criminal justice system at their root. Part of Mayor Bottoms’ plan to improve education is the creation of a city-wide college savings accounts, which would increase the chances of giving every child an opportunity for higher education. Mayor Bottoms closed her speech by talking about “Atlanta magic.” By fostering an undivided and more equitable city, she plans to continue the legacy of the leadership that preceded her in order to create a better Atlanta in the years to come.